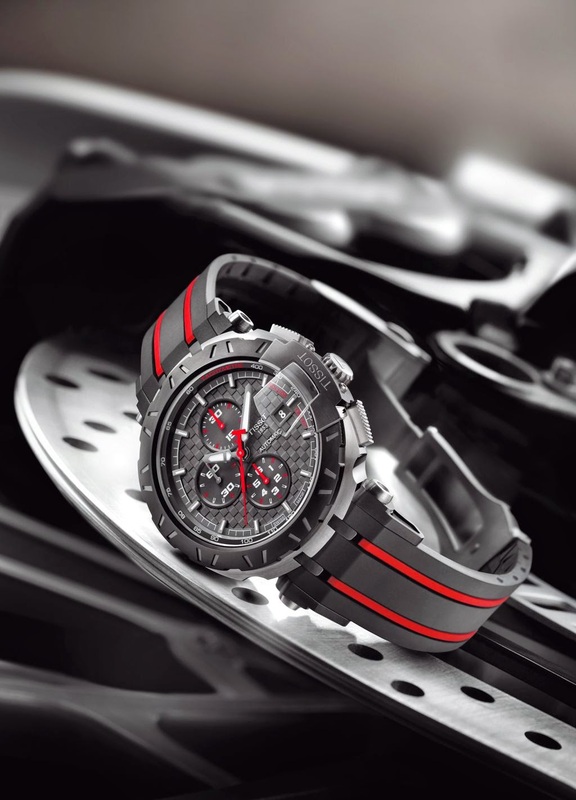 The Tissot T-Race MotoGPTM Automatic Limited Edition 2015 is a testament to the sporting spirit that drives Tissot. 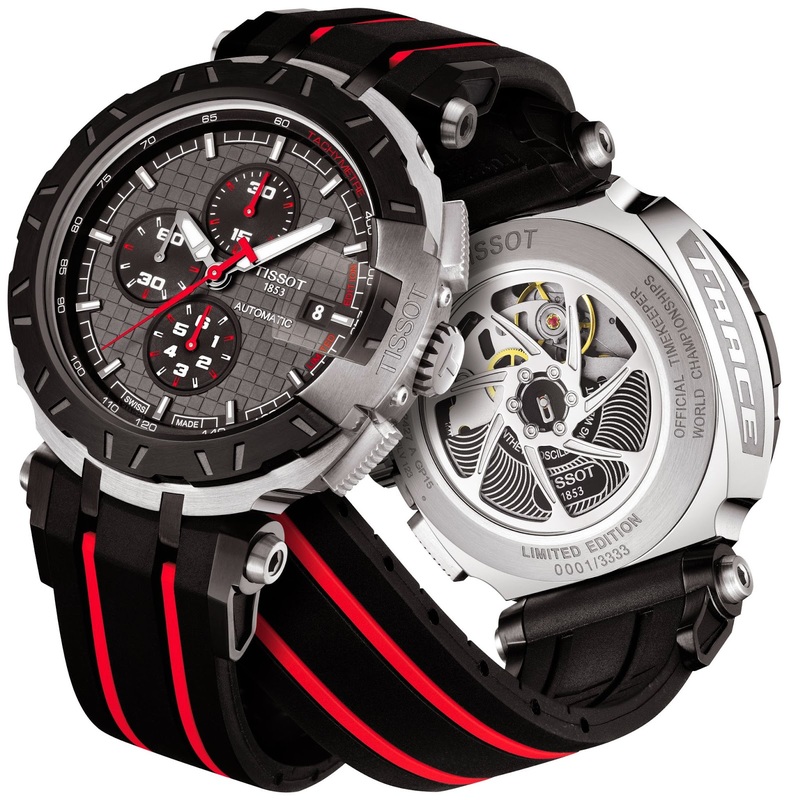 A striking red and black aesthetic and familiar GT stripes complement the edgy new case design and new pushers shaped like bike footrests, a key new feature of the Tissot T-Race collection. Illustrations of parts of the motorbikes can be found in features such as the brake-disk on the bezel, the tyre trace on the back of the bracelet, all the way to the rear suspension rode in the bracelet’s attachment to the case. A see-through caseback with the wheel shape means the inner workings of this well-crafted, Swiss made piece can be easily admired. A chequered flag on the dial, with smart starting grid indices and Super-LumiNova® on the hands keep the sporting theme strong, while the flashes of red in the stripes and on the chronograph hands hint at the passion that goes into every single Tissot watch. This highly desirable new piece comes in its own very smart helmet box – limited to just 3,333 pieces, exclusivity is assured.